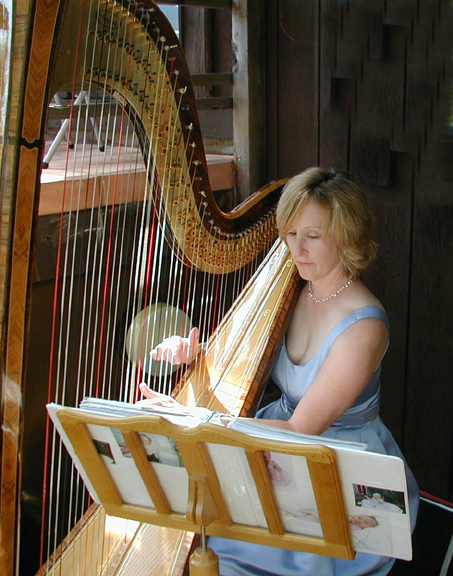 Heather Paschoal is a consummate harpist who has played thousands of engagements, including symphony and orchestra appearances, weddings, receptions, and for the finest restaurants. She has played professionally in the San Francisco Bay Area for nineteen years, most recently in The Dining Room at the Ritz-Carlton in San Francisco. She holds a degree in pedagogy, and is a skilled and enthusiastic teacher. Heather Paschoal's refined style and versatile repertoire are an excellent addition to a variety of venues. Heather loves to perform, and is happiest when playing for others. She believes that the harp is a very special instrument, and wants to make accessible to everyone its many wondrous traits. Her style is very eclectic and includes classical, Latin, jazz and pop. She has spent many years refining her act, and always provides a beautiful and elegant performance. Please contact Heather at (707) 763-1899, or at . Heather's first CD, Tranquility, is available for purchase. It is a classical recording of primarily French Impressionist music. Wonderful for background music or meditation. Contact Heather at (707) 763-1899 or at to buy a copy. Heather is co-founder of Harpeggio Music, and was previously on the faculty at the Schlomovitz-Quinn Harp Studio in Palo Alto, California. She currently teaches full-time in Sonoma County and San Francisco, and is rapidly expanding her north bay studio. The harp is considered one of the most difficult instruments to master, and Heather enjoys the challenge of sharing her knowledge with students of every level. 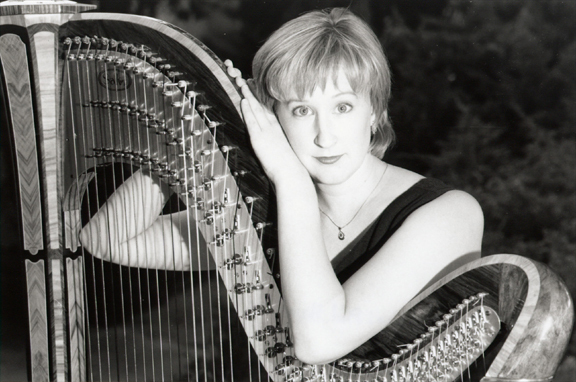 In addition, she frequently gives performance lectures on the history of the harp to a variety of community organizations throughout Marin and Sonoma counties. In 1987, Heather received her Bachelor of Music from the Music and Arts Institute of San Francisco. She began her studies with Phyllis Schlomovitz in 1978, and further enhanced her skills under the tutelage of Josef Molnar, Aristid von Wurtzler, David Watkins, Una Morgan, and Paul Hurst. 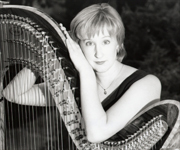 In 1995, she traveled to Keszthely, Hungary, with Ms. Schlomovitz where they performed as the California Harp Duo. Heather currently lives in Petaluma, California, with her husband, two daughters, and two cats.